@E01-US-Nav-2-20-IL I will send you an answer by private message, this section I use mostly to update commissions, finalized works and promotions according to the season, so ... we do not see in the private courier! this idea comes as a tribute to the cartoons of the 30s, also with the new fashion of stikers and banners I told myself, why not? the proposal is simple, it is a pony of any existing race in the MLP series: FIM (they can even be NO-ponys breeds ) with a pose of customer preference, of not having a pose in mind I will provide one that I think is appropriate. 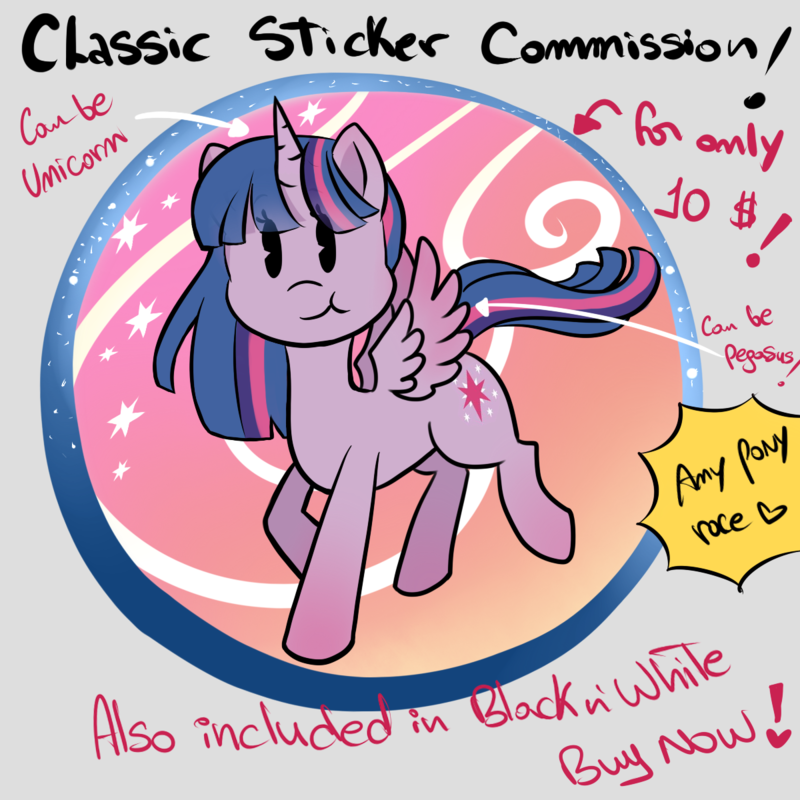 The stiker includes a simple background like the one with the sample image, you can also include the character's name, all this for the price of 10 $! For any questions, do not forget to leave a comment or a private message. Hello Everypony! We are in the new era and with this the 3D design era! my brother is a modeler in Blender since a little over a year ago, he made this Pony as a preview of his work, is not she pretty? We are working on this project with great care and we hope it will be of your wonderful pleasure! for this little opening we are selling 3D pony models for only $ 25. can be the pony you want, from an original character to a character in the MLP series: FIM with a basic pose. are you interested? If so, do not hesitate to leave me a private message or comment in this post! If you want to support new talent do not forget to stop by my Patreon in construction! https://www.patreon.com/emyaraque Thank you so much for your attention! Are you also a 3D artist? If so, do not forget to comment, it's fun to talk with several people about 3D art. Hello Everypony! We are in the new era and with this the 3D design era! 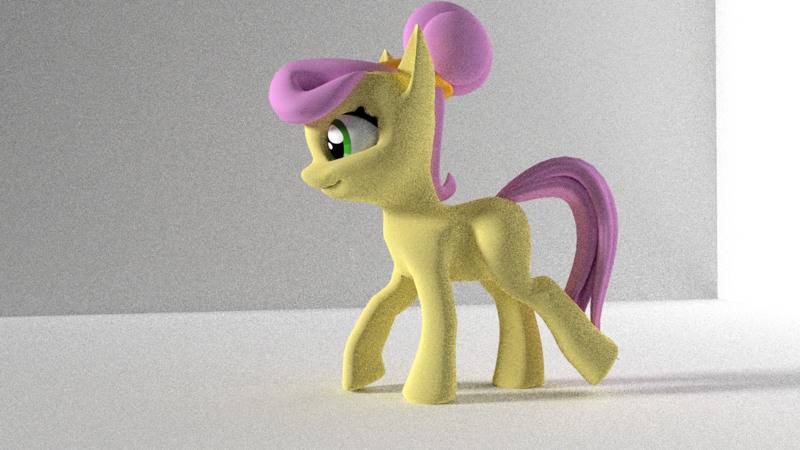 my brother is a modeler in Blender since a little over a year ago, he made this Pony as a preview of his work, is not she pretty? We are working on this project with great care and we hope it will be of your wonderful pleasure! for this little opening we are selling 3D pony models for only $ 25. can be the pony you want, from an original character to a character in the MLP series: FIM with a basic pose. are you interested? If so, do not hesitate to leave me a private message or comment in this post! Thank you so much for your attention! Are you also a 3D artist? If so, do not forget to comment, it's fun to talk with several people about 3D art. Well, as you can see in the joke image I made ... now I have glasses by doctor's orders, this work on the computer in the end I just hurt my eyes ... it is mild ... but it is still rare to use lenses . officially I am now part of the myopic club! Initially I had my doubts because I thought that the glasses would look ugly ... but on the contrary! rather, now I am fabulous! 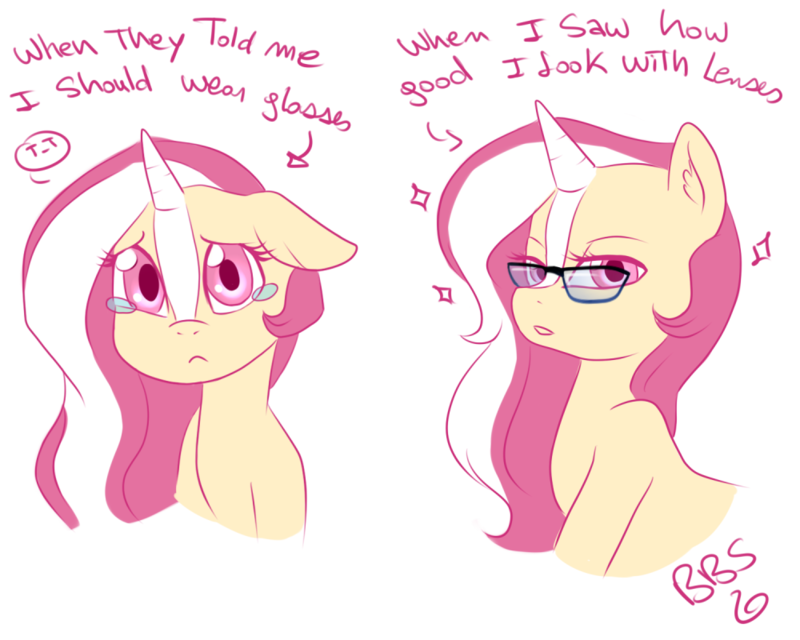 Ponies wearing glasses are awesome!